The publisher may have left New York for Burbank. They haven’t even had a booth at NYCC for a couple of years. 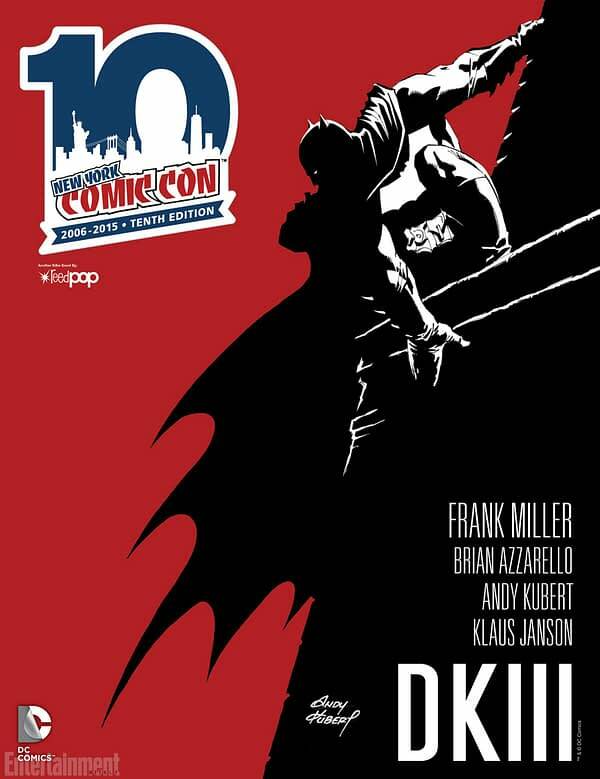 But they are marking their territory this year, with the front of the NYCC programme guide. As given to their media partner Entertainment Weekly by DC’s PR department, this cover is a page from the upcoming Dark Knight III: The Master Race and drawn by Andy Kubert and Klaus Janson. Black Jack Ketchum – Image Comics Next Big Surprise?